Eh. I’m always very sceptical when it comes to E. Lockhart. How To Be Bad and We Were Liars are both up there with some of my favourite reads. And her other books are with some of my worst. But I thought I’d give this one a go, and picked up a copy when it was released. It’s taken me until now to pick it up, and for good reason. I just didn’t enjoy this read. 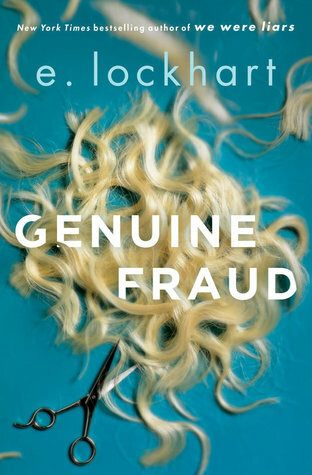 This book kind of reminded me of Gone Girl, and I really didn’t like Gone Girl. For one, we have an unlikable protagonist. This is one of my pet hates of a book. If I can’t relate to or sympathise with a main character/narrator, I end up not enjoying the book. At the end of the day, if you don’t care what happens to the main character, what’s the point in even reading? I found Jule to be a selfish, unreasonable and downright hateful character, and I had nothing in common with her. If I felt like this, why even read? I carried on reading because I wanted to give this one a go, but unfortunately this book was told in reverse. Someone tell me, please, who would think ‘Oh I’ll write a mystery! And write it in reverse so everyone finds out what happens right at the start’! I mean this may not be exactly true, as what I believed to be the main event happened around halfway through the book. But I guessed that event when I read the blurb. I guess Lockhart wanted us to understand the hows and whys of these big events, but for me that just didn’t work. Maybe I should have understood Jule’s reasoning behind what she did, but she’s so twisted and sick that there was no way I could even begin to understand. Overall, the only reason I actually continued reading was to see if anything else was going to happen. I gave the book a chance for the first 100 pages, but this read was so short that I thought I may as well finish it anyway. I’m glad I gave this one a go, but I definitely wouldn’t recommend it.